This is a completely customized sweet heart wedding cake topper ordered by one of our customers. 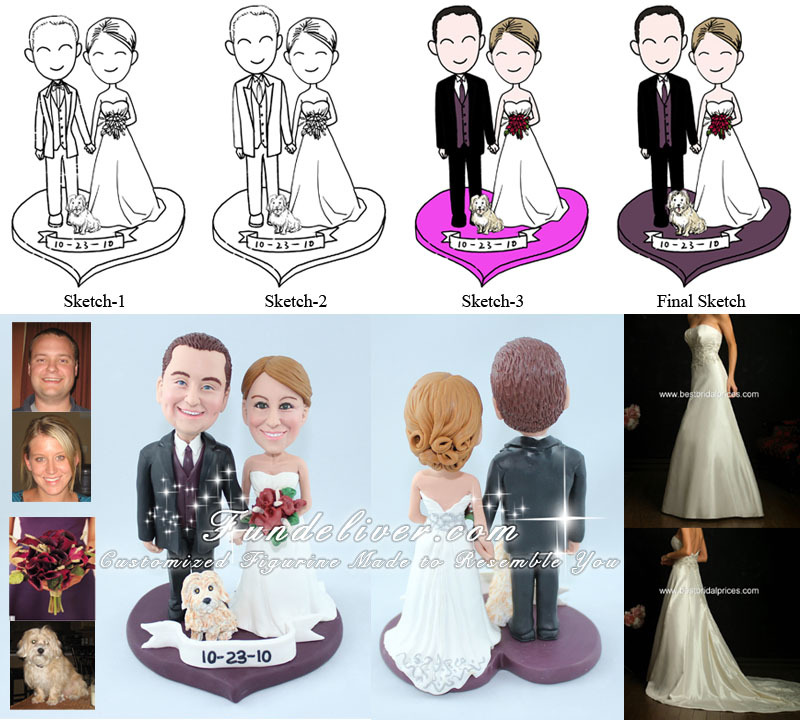 They would like groom and bride figurine to be holding hands, standing close to each other and their dog in the middle. Bride is holding the bouquet (dark purple calla lilies with hand-beaded flowers and velvet leaves adding a sparkly formal effect). Groom is in black tuxedo with dark purple vest and tie. Their wedding color is dark purple, so they would like a purple base in the shape of a heart with the date of their wedding on the front which is 10-23-10. 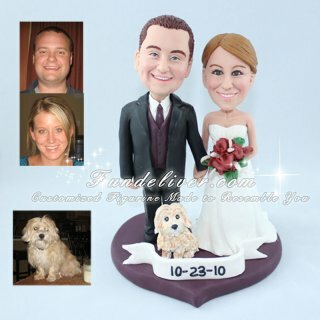 Sweet dog, nice bouquet and sweet heart base, all these elements add a special touch on their sweet wedding cake topper.